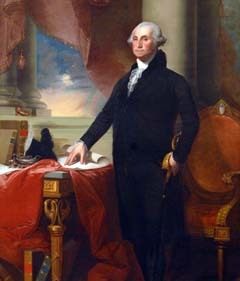 The State Art Collection was inaugurated in 1837 with the purchase of a copy of Gilbert Stuart’s standing portrait of George Washington for the newly-built State House in Montpelier. From that time until the 1960’s, the collection would reside only within the capitol. Then, with the establishment of the Vermont Arts Council in 1964, and particularly with the 1988 creation of the State’s public art commissioning program, Art in State Buildings, the size and scope of the collection would expand rapidly. Today, hundreds of works of art are spread across state—all owned by the people of Vermont. The State Curator’s Office maintains the catalogue of these works, monitors their condition and arranges conservation when necessary, and works to improve interpretation and public appreciation. Sculpture on the Highway is a unique collection of 16 abstract sculptures created by internationally renowned artists from throughout the world. These sculptors gathered first in 1968 to work with Vermont marble at an International Sculpture Symposium organized by Vermont sculptor and UVM professor Paul Aschenbach. 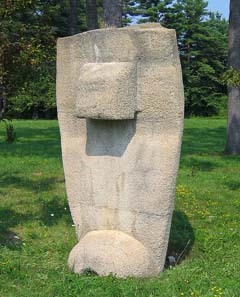 Aschenbach and the Vermont Arts Council organized a second symposium to work with concrete in 1971. The resulting pieces were then placed at rest areas all along the newly-constructed interstate highways, I-89 and I-91—treating those transportation corridors as one vast sculpture park. The State Curator’s Office, in partnership with the Agency of Transportation and a group of interested citizens is attempting to relocate some of the works that are currently at closed sites, and to conserve and better interpret the collection. An attempt to obtain a federal grant to assist with this project failed in 2011, and a slower and more deliberate approach to saving these outdoor monumental pieces is currently underway. The State Curator’s Office has a large catalogue of works of art, historic furnishings, and artifacts that are related to the historic buildings in our care. In recent years we have been working to allow the collection to be more accessible online, and our new partnership with the Vermont Historical Society’s Digital Vermont project is the current platform for achieving this goal. We have started with our recently conserved collection of 68 Civil War flags, currently housed at the Vermont History Center in Barre. This collection was on display at the State House from the conclusion of the war until 2003 when conservation of the final group of flags commenced. 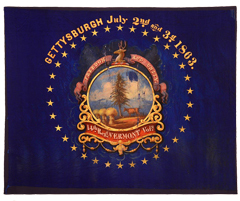 With text by Civil War historian Don Wickman, and images by photographer Craig Line, we can now make these painted silk and wool flags more available without the damaging effects of public display. Art at the Kent is the joint endeavor to exhibit the best of Vermont contemporary art in the context of the historic 1837 Kent Tavern Museum in Calais, Vermont. 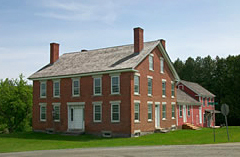 This state-owned historic site, administered and cared for by the Vermont Division for Historic Preservation, has for over a decade sponsored autumn exhibitions of Vermont art, on the grounds as well as within this historic structure. Historic Kents Corner, Inc. is the sponsor and curator of these exhibitions—but they have long partnered with the State Curator’s Office as well as the Division for Historic Preservation to create these highly successful shows.